Listing courtesy of Liberty Real Estate, LLC. 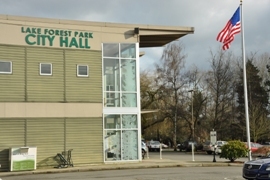 Lake Forest Park home ownership began as people begin to move north of the city for vacation and permanent homes as Seattle grew in the early 1900's. Real estate developer Ole Hanson, who became Mayor of Seattle, envisioned a residential park. He planned the home lots according to the topography. Mr. Hanson called the development Lake Forest Park loosely derived form Lake Forest, Illinois. According to a promotional brochure in 1912, anyone who could buy a lot was free to build a home, as long as it wasn't a shack, store, saloon, flat, apartment, or road-house. Sheridan Beach was platted in 1927 and Sheridan Heights in 1930 at the beginning of the Great Depression. Real estate sales remained at a standstill and slowly increased at the end of the 1930's. 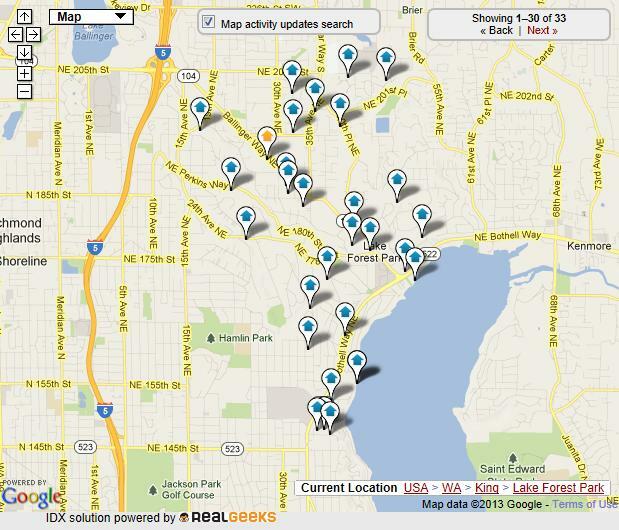 The community grew along with the population of the Puget Sound area after World War II. Lake Forest Park was incorporated on June 20, 1961. Francis "Fran" Holman was its first mayor. Residents voted to become a city to preserve the residential character of the community and create an effective local government. The first City Hall was constructed in 1963 at the northwest corner of the Town Center. 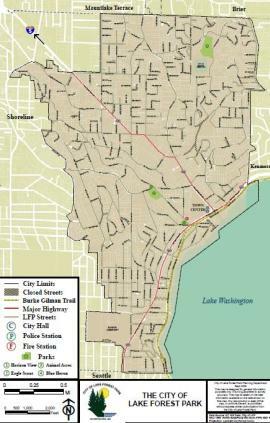 The Sheridan area was annexed to Lake Forest Park in 1994. Acacia Cemetery, south of the Sheridan area, was established by the Greater Seattle Masonic Lodge in 1926. Lake Forest Park annexed the area in 1997. A new City Hall was dedicated on March 23, 2002. Population in 2010 was 12,598 with those age 65 and over at 15% of the population and age 18 and under at 20.8% of the population.